NASCAR writer for ESPN, Bob Pockrass, reported yesterday that a North Carolina jury decided last week that former NASCAR driver Justin Boston owes NASCAR Camping World Truck Series team, Kyle Busch Motorsports, $442,561 for breach of contract. Boston made 12 NASCAR national-level starts between 2014 and 2015, 10 of those coming in the Camping World Truck Series, including nine for KBM in 2015. He posted four top-10s in those nine races. 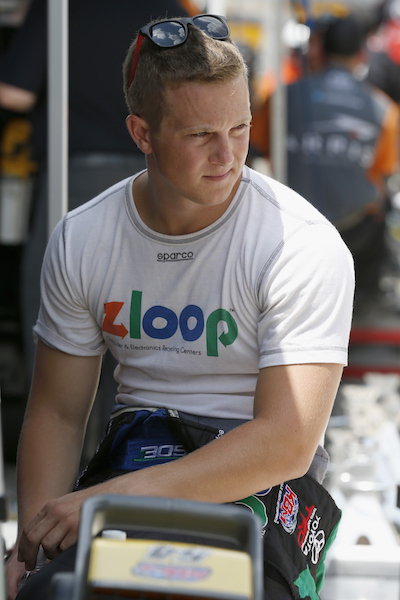 In his nine races with Kyle Busch Motorsports, Boston was sponsored by Zloop, owned by his father, Robert Boston. Robert Boston was later indicted for fraud, as he, allegedly, used money from investors to fund his son’s racing. Zloop also filed for bankruptcy. KBM sued the Bostons and Zloop for $650,000 in missed payments. Kyle Busch Motorsports received $1.55 million from the Bostons but returned $462,500 as a result of Zloop’s bankruptcy proceedings. KBM, then, sued Justin Boston in an attempt to recover the funds. According to Justin Boston’s attorney, appealing the latest ruling is being considered.